Boynton Beach Community Redevelopment Agency | JTR Inc.
Jonathan T. Ricketts, Inc. was selected to serve as the Owner’s Representative by the Boynton Beach Community Redevelopment Agency to provide continuing professional services. 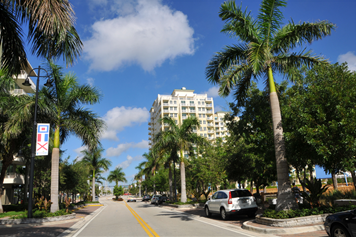 The first phase of redevelopment was budgeted for 10 million dollars and included the extension of Boynton Beach Boulevard east of U.S. Highway 1 and a 900-foot pedestrian promenade routed alongside an undisturbed, natural mangrove area. Ricketts successfully initiated a 1.8 million dollar grant from Palm Beach County which along with CRA funds enabled the purchase of the existing Seamist Marina and Two George’s Restaurant. This purchase guaranteed public access to the Intracoastal Waterway and served as a catalyst for other CRA improvements along the city’s waterfront. The downtown redevelopment has brought over 500 million dollars in new construction and has provided easy access to the Intracoastal Waterway, a public marina, and local restaurants.